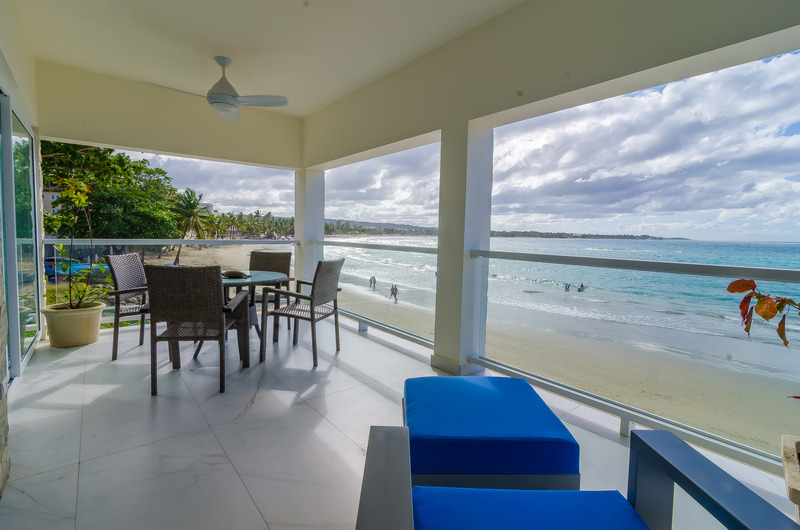 Boutique Beach Front Hotel in Cabarete. Discounts. 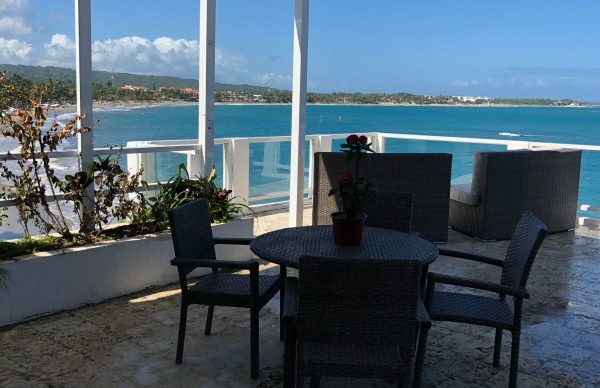 We offer 20% discount for all new bookings for 14 nights and 40% discount on booking for 30 days or more.es, that’s right – you are living right on the beach in Cabarete, bringing the best of tropical life into the many spaces of our grand suites. We offer deluxe hotel accomodation in Cabarete. 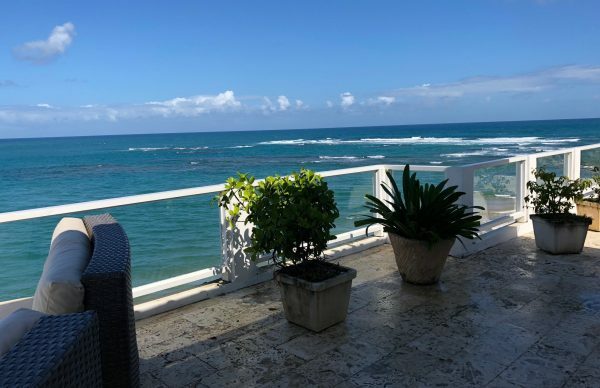 The View Cabarete is experience personified; a fusion of tropical living at its very best. Starting from $79.00 USD per night. A totally unique beach front boutique hotel situated directly on the ocean! 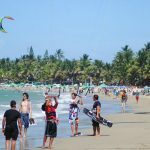 The View offers spectacular panorama view of the entire Cabarete beach available nowhere else. The fourth floor roof top garden, accessible by elevator, is a dream to behold. BBQ your dinner here, relax on the complimentary loungers and sofas and definitely watch the spectacular sunsets. 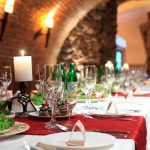 Our full time English and Spanish speaking staff is here to take care of your every need, including twice a week maid service and evening security. The View is close walking distance to everything you might want. 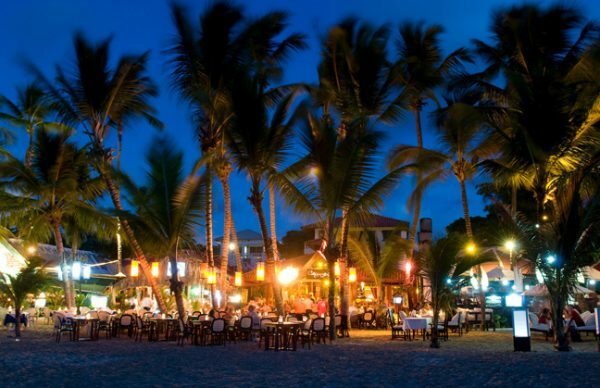 The area’s largest supermarket, numerous restaurants, bars and night clubs of Cabarete. Nothing is over 5 minutes away! Most of our guests are repeat customers and love the deluxe accommodation and convenience that is offered. 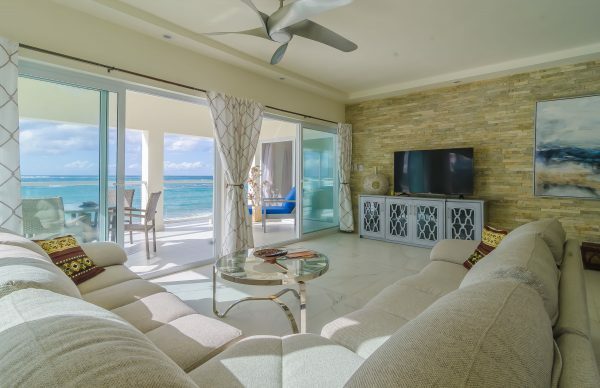 The View has three deluxe two bedroom units each with over 50 feet of total ocean frontage. 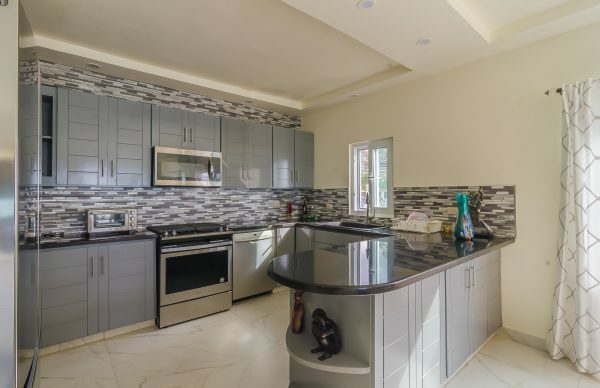 The units have been planned and decorated by professional interior designers with complete stone, brick and tile accents, and extensive artworks. The View is truly a boutique property for the four lucky families staying here as we are often fully booked during high season.